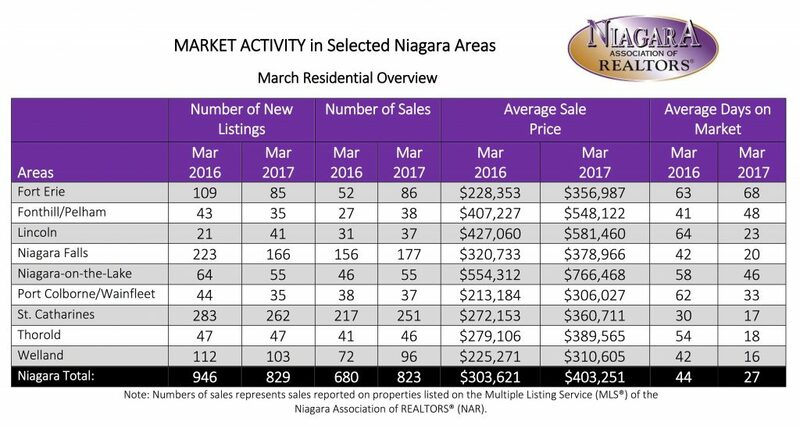 April 4th, 2017, Niagara - The Niagara Association of REALTORS® (NAR) reported 928 property sales processed through the NAR Multiple Listing Service (MLS®) system in March. This represents a 26% increase in sales over March of last year. The residential average sale price of $403,251 was 33% higher than last March. The average days on market decreased from 44 to 27 in the residential freehold market and decreased from 66 to 29 in the condominium market. Please refer to this chart for residential market activity in select areas in NAR’s jurisdiction. “All the more reason to enlist the services of a Professional REALTOR® to achieve the highest value for your property,” concluded Dummitt. 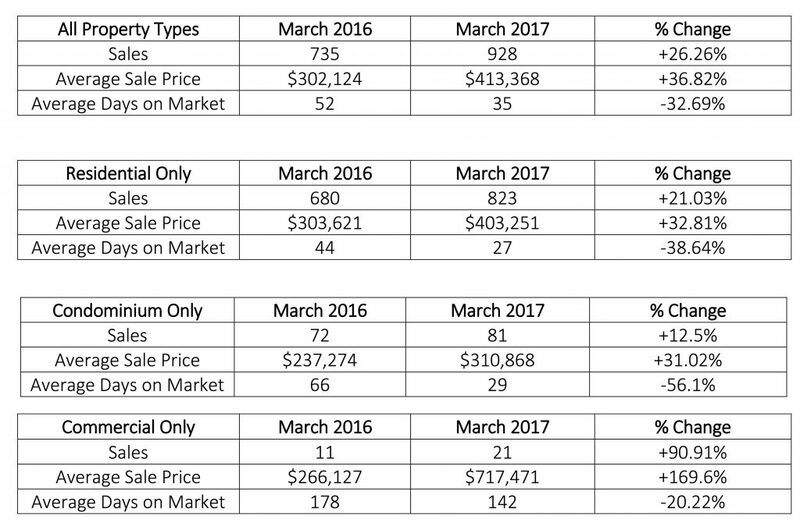 Total sales, average sale price and days on market comparison of March 2016 and March 2017 in all jurisdictions of the Niagara Association of REALTORS®.